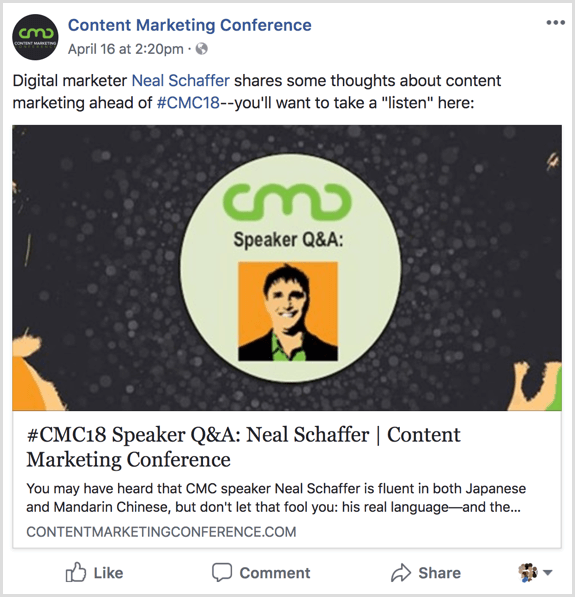 In this article, you’ll discover how to use social media to keep your event top of mind with your audience. 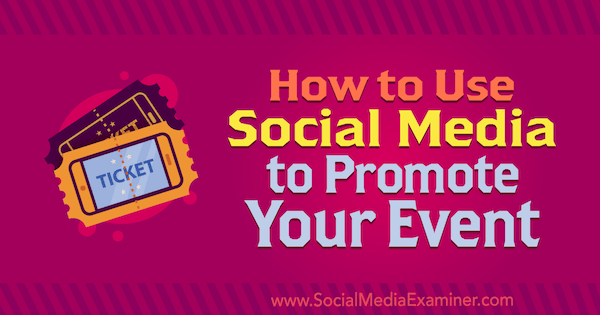 How to Use Social Media to Promote Your Event by Niki Lancaster on Social Media Examiner. Before your event, you can use a range of social media tactics to build anticipation. But first, you need to decide which channels you’re going to use. 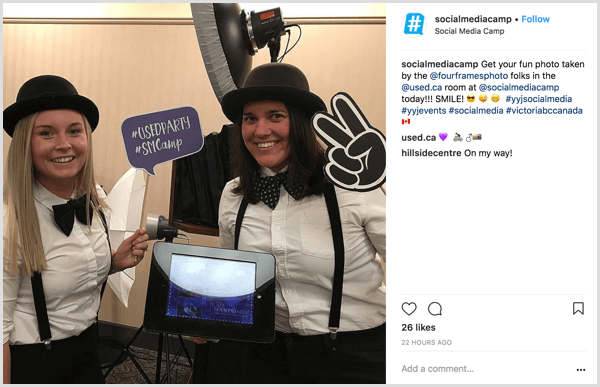 Some social media channels are better suited to certain types of events, and you should tailor your tactics accordingly. For example, if you’re running a large-scale event that’s open to the public, Facebook is often the best option. This is because once you’ve created the event, you can use targeted advertising to promote it to your ideal audience. Facebook allows you to target your promotions in extremely specific ways. Think carefully about your target audience, rather than promote your event far and wide to people who might not be interested. Add a status update with a link to a sign-up page. Send direct messages to the people you want to invite. Create a group for the people you want to invite. Instagram is best-suited to less-formal blogger events. It’s a great way to source and engage with bloggers, and because it’s naturally more visual than other social media channels, it’s a great platform to post and curate high-quality, shareable imagery. It’s also an opportunity to use hashtags to generate buzz around your blogger event. To generate extra interest, directly involve the bloggers in the decisions you make leading up to the event. You could share photos and videos of different locations and ask the bloggers you’ve invited to vote for their favorite. Whichever social platform you choose, it’s important to have an event hashtag. 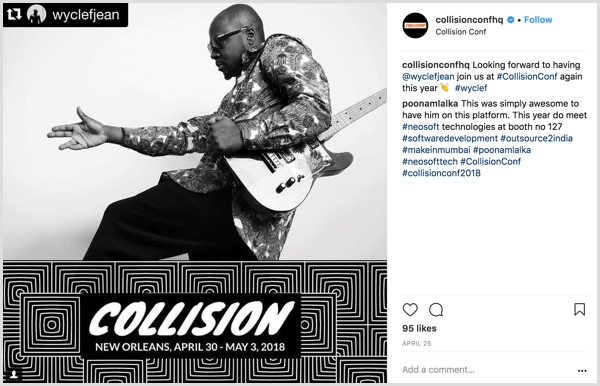 A unique hashtag allows your attendees to contribute to the conversation, thereby creating extra buzz around your event. Choose a hashtag that’s short and memorable so influencers and attendees can recall it right away. You should also check that your hashtag hasn’t been used before and doesn’t overlap with any of your competitors. Once you’ve created your hashtag, use it early and often. Include it in your relevant social media posts as soon as you’ve set up the event and sent out invitations. The earlier you use the hashtag, the more time your audience has to engage with it. Content should be a major part of your event promotion tactics. It helps you engage different audiences and give them resources to share with their own followers. Once you’ve created your unique hashtag, you can get started with a range of content types. You can also drive interest in the event by making visual changes to your social media pages and profiles. If you have the resources, create custom banners about the event and add them to the headers on your Facebook and Twitter pages. Whatever tactics you choose, keep in touch with your audience by sharing regular, timely updates and insightful, shareable content. Let them know you’re as excited as they are! The event day is an opportunity to generate new content and increase social media engagement. For blogger events, make sure you get the bloggers involved in the photo shoots. This will give them images to share on their own social media channels, which means more opportunities to get your hashtag out there. Project it on the walls or hang posters on the walls with the hashtag on them. Add it to printed materials. Use it as the Wi-Fi password. For corporate events, you can also ask speakers to use the hashtag on each of their slides and put it on name badges or stickers. You should also be available to speak to bloggers one on one. By sharing exclusive quotes with each blogger, you’ll give them unique content they can write about on their own blogs. 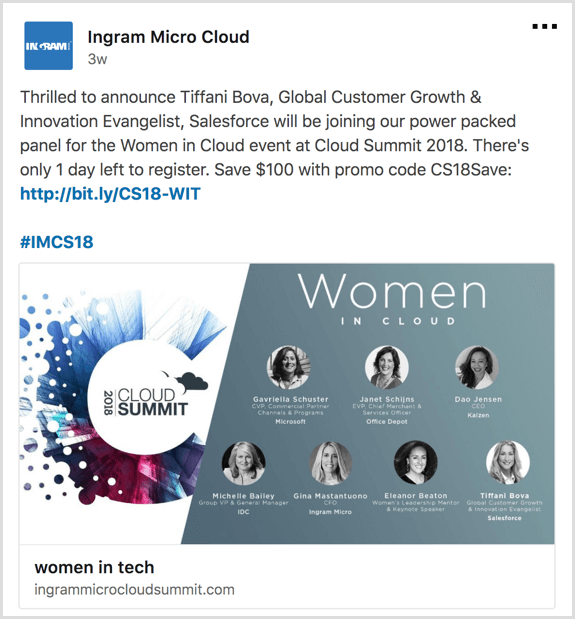 To encourage conversation on the day of the event, you can use a social media wall where you display posts and photos that are tagged with your event’s hashtag. Hootsuite offers a social media tool called HootFeed for free to its subscribers. Social media walls can be updated in real time, but you can moderate them before they’re published if you prefer. 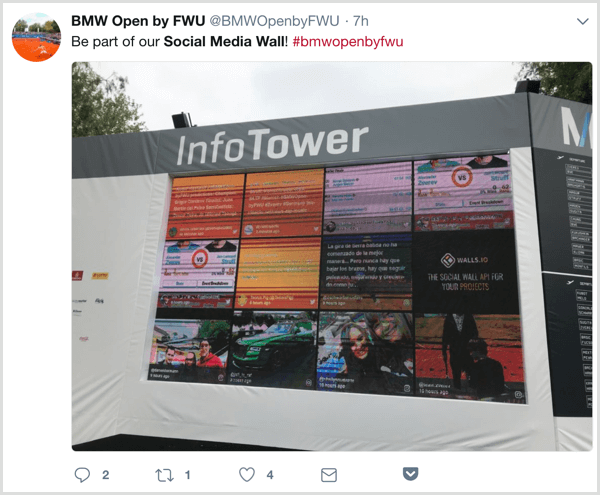 Think carefully about where to put your social media wall because the placement can make a big difference in the amount of engagement it generates. Consider putting it next to the stage or by the entrance to the venue. Once you’re generating social media interactions, make sure you’re on hand to reply. You can use a tool like Hootsuite to track brand and hashtag mentions across channels, helping you stay on top of the conversation. After the event, you can use your social media channels to make a lasting impression on your audience, so keep up the noise. Follow up with your attendees and thank them for coming along. Ask for feedback: What did they like about the day? What would they have done differently? What would they like to see next time? Doing this improves engagement and gives you more opportunities to use your hashtag. Next, use the assets you got from the event itself to create new content. If you took photos or made videos, upload them to your social media channels and share them with your followers. 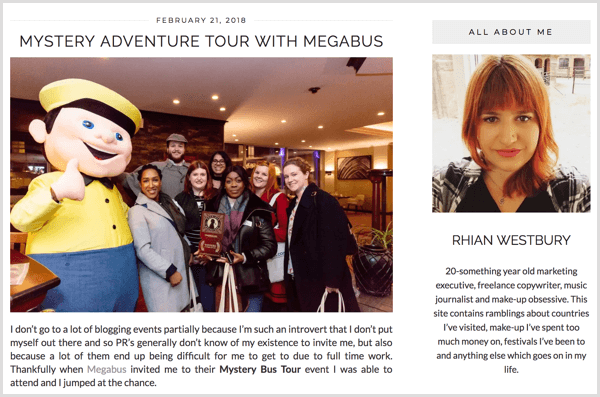 After corporate events, quotes from influencers can form the basis for a blog post or whitepaper, so use any material you sourced on the day and write it up. Share it with your followers and tag the influencers who gave you the quotes so they can share it with their followers. If you don’t have quotes, you can write a blog reflecting on the event or share links to relevant products. If you’re running an event with bloggers, use your social channels to keep in touch and encourage bloggers to write about the event. Ask if there’s anything you can provide them with to help them produce content for their own sites. Encouraging bloggers to write about the event is a great way to get more coverage for your hashtag and more links back to your website. Whichever tactics you use, each piece of content you share should feature the hashtag you created at the start of the campaign. You can supplement this information with data from Google Analytics, which tells you how people behaved once they arrived on your site. You can split your website traffic by channel to see how social media compares to your other traffic sources, and you can use goal tracking to see how many people converted (signed up for your event) after following a social media link. 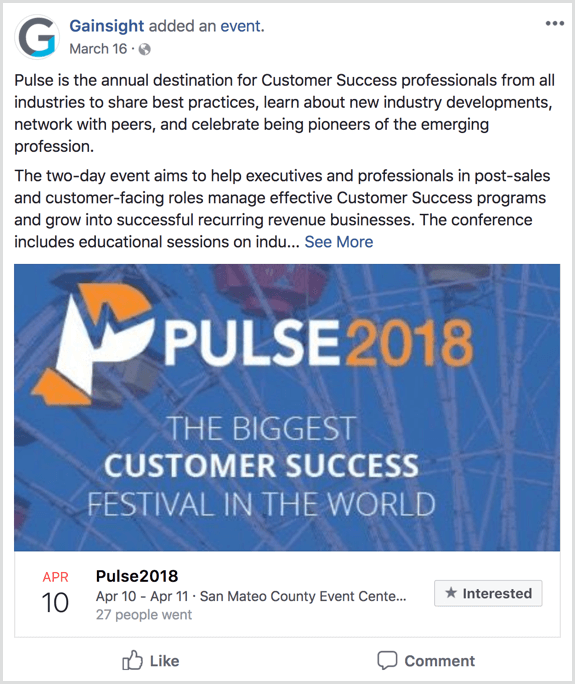 Events are also a great way to boost your site’s performance in organic search by getting links from bloggers and influencers pointing back to your event page. 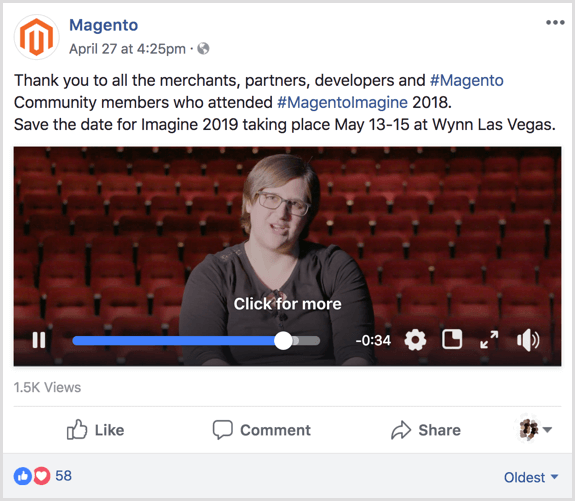 A number of SEO tools can help you find out how many links you’ve gotten to your event page, where those links came from, and how authoritative they are. Once you have a handle on your social media performance, you can get more specific. Drill down into different types of content. What did people share? Which topics and pieces of content sparked the most conversation? What fell flat? All of this information is useful and important. Use it to inform your content the next time you promote an event through social media. Was there a particular content type that resonated with your audience? For example, if your whitepaper received lots of engagement but your photos didn’t, you can adjust your strategy next time you run an event. Keep analyzing and evaluating, and you’ll get better every time. Social media is a great channel for promoting events, but you need to approach it strategically. Before you start, make a clear plan that outlines tactics and timetables, because sporadic updates and ad-hoc content won’t cut it. 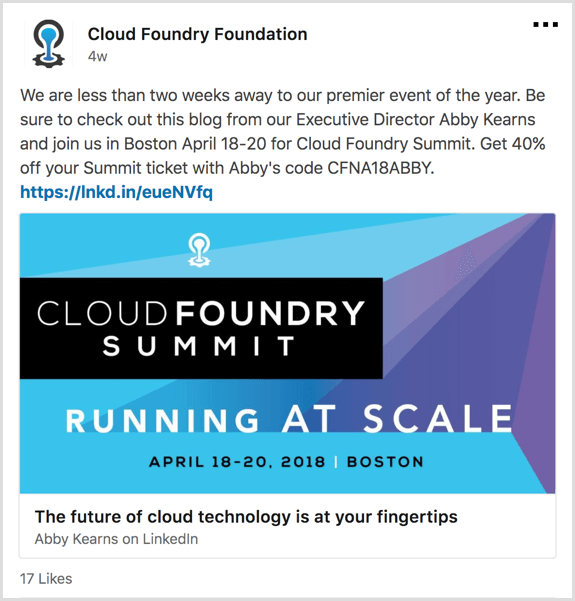 Using the tactics described in this article will help drive improvements in engagement, reach, and event sign-ups. But social media success is often a gradual, trial-and-error process. Take the time to analyze and evaluate what worked, and then apply those insights to future campaigns to build your social media engagement and amplify your event marketing. What do you think? 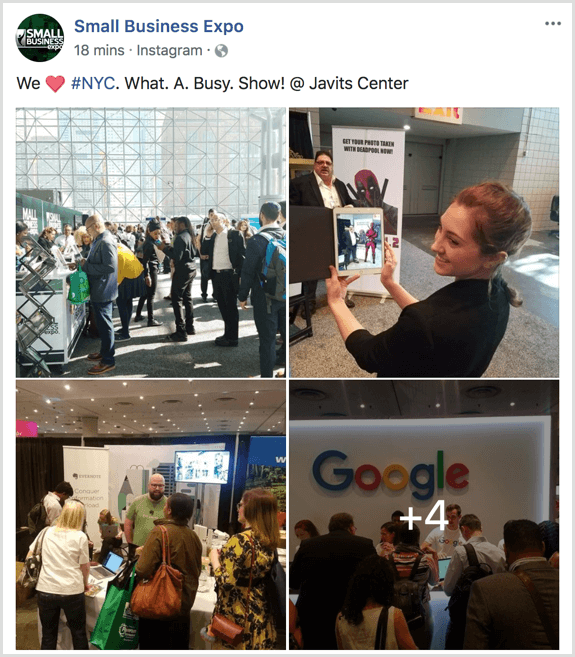 Which of these tactics do you use when promoting an event on social media? What techniques would you add to this list? Please share your thoughts in the comments below. A specialist at helping brands and businesses get the most out of their social media presence both nationally and internationally. Currently Head of Social Media at Search Laboratory.